Anisa “Nisey” Webb is a graduate of the University of Texas at Austin with a degree in Biology. She started working at The Center in February of 2009 part-time, to gain experience in the healthcare industry and to have the opportunity to observe clinical research studies that were then underway. Over time, Nisey’s talent for building relationships with families and professionals within the community, combined with her enthusiasm, led to her promotion to the Community Outreach Coordinator. In this position she is focused on providing valuable and accessible information to parents, caregivers, and professionals. As an active part of the Austin non-profit community she hopes to continue to raise awareness and bring hope to children and families that may not yet have access to the resources they need. Anissa Ryland is the Director for The Johnson Center for Child Health and Development. Born and raised in Oklahoma, Anissa began her career in the field of non-profit organizations in New Orleans, where she helped organize benefits featuring local as well as nationally known musicians. Relocating to Washington, DC, she served as the Director of an organization working with business leaders to raise critical funding for an inner-city group that provides affordable housing, job training, child care, and health care for low-income families. Her son was diagnosed with autism after the family moved to Texas, and she and her husband began researching all aspects of the disorder. They started their child on an intensive education and behavioral program, and traveled around the country learning more appropriate intervention and support. Prior to joining us, Anissa worked as the Director of Development and served on the Board of Directors of a Dallas, TX school for early intervention for children with autism. In addition to her extensive experience in the non-profit field, as the Director at JCCHD, Anissa brings her experience as a parent of three children to bear on a matter that is close to her heart. Jeanna Hill (formerly Martinez) received her B.A. in Psychology with a minor in Early Childhood Intervention from Texas State University. She then went on to obtain her Master’s degree in Family and Child Studies on the Child Life Track. She completed a Child Life practicum and Child Life internship at Christus Santa Rosa Children’s Hospital in San Antonio, TX. While there, she was placed in the hospital’s outpatient clinic, as well as completed her internship rotations in the GI unit and Emergency Department. Jeanna is currently a Certified Child Life Specialist and is trained in child development, special education, early intervention, family systems and stress, and developmental disabilities. Jeanna has experience working with children and families in various settings including residential facilities, educational facilities, and children’s hospitals, providing emotional support to families during stressful life experiences. Lauren holds a bachelor of arts in music and public relations from the University of Wisconsin-Eau Claire. With a dream of starting her own non-profit someday, she is gaining valuable experience as the Front Desk Manager of The Johnson Center. Before moving to Austin in 2013, Lauren was the office coordinator of a busy dental office in Ann Arbor, MI. She was also active in her community as a member of the University Musical Society Choral Union and a volunteer coordinator for the Ann Arbor Summer Festival. Lauren is very excited to be a part of The Johnson Center team. Helping children and their families find and navigate services at The Johnson Center truly brings her a great sense of purpose. Jarrett Suhr has been working at The Johnson Center in the Nutrition Clinic since August of 2009. Born in The Woodlands, Texas, he moved to Austin with his family in 1998. Diagnosed with ASD when he was a child, Jarett enjoys working at The Johnson Center because he gets to be a part of an organization that helps so many others on the autism spectrum. His colleagues at The Johnson Cetner value Jarrett’s kind nature, humor, and optimism. As assistant to the Nutrition Clinic Manager, Jarrett is in charge of shipments and stocking inventory for the Nutrition Clinic. Always willing to lend a helping hand, Jarrett makes sure to keep the toys and play areas organized and clean for when clients visit the office, and he often assists the administrative staff with their tasks. Morgan Devlin is a graduate of the University of Texas at Austin, earning a Bachelor of Science in psychology. She began her time at the Johnson Center as an intern and joined the research team in the Spring of 2016. In her role as Assistant Research Coordinator, she works closely with patients and families to recruit for ongoing studies aimed at identifying biomarkers in children with an autism spectrum disorder using genomic, proteomic, and metabolomic profiling that may be useful for targeting therapeutic interventions. With an interest in working with children with development delays, Morgan is gaining valuable experience in her role at The Johnson Center. She finds that the interdisciplinary approach taken by the caring and committed staff provides a unique atmosphere for patients and families to receive individualized care. In her spare time, Morgan enjoys running, cooking, live music, and exploring Austin eateries. 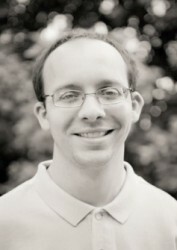 Austin Sekula is a behavioral therapist at The Johnson Center. Austin is a sophomore studying Biochemistry at the University of Texas at Austin, with future plans to continue working in pediatric medicine. Austin comes from a small town outside of San Antonio and he is an active member of the community, volunteering with several organizations. It was through his volunteer work with the Home Cooked Fridays program that he learned about the programs and services at The Johnson Center and he is grateful for the opportunity to work with and assist the children in our community. As an administrative staff member of The Johnson Center, she works directly with families and potential patients by guiding them through our programs and services to meet their needs and ensure that each member of our community feels welcome and supported. Elaine Tran is a recent graduate of The University of Texas at Austin where she earned her bachelor’s degree in Human Development and Family Sciences with a Business of Healthcare certificate. She serves as one of the clinical assistants at The Johnson Center and works closely with the entire clinical team, providing support and assisting patients with their needs. She has had previous experience working with children as a teaching assistant at the Priscilla Pond Flawn Child and Family Laboratory School on the UT campus. Elaine plans to use her clinical experience as well as her child care background to become a pediatric physician assistant. ​In her free time she enjoys spending time with her family, friends, and dogs as well as playing volleyball and watching movies. A graduate of East Carolina University with a background in Nutrition & Psychology, Jennifer’s passion is to empower & bring healing to people in challenging circumstances. Her career in the non-profit industry began at the North Carolina Department of Health & Human Services, where she worked to educate the public & policymakers about the dangers of toxic chemical releases. As a fierce advocate for disadvantaged populations, Jenn has worked to connect homeless teenagers with supportive community resources; taught yoga to individuals with developmental disabilities as a 200hr certified instructor; and participated in multiple fundraising events for non-profit organizations around North Carolina, New York & Texas. Her belief that no single path is right for every individual has made Jenn a natural fit for the multi-disciplinary approach of The Johnson Center. Her work here includes coordinating & providing oversight of all administrative operations; maintaining billing of all medical, diagnostic, counseling & ABA services; and assisting in the planning of community events. When not in the office, she can be found exploring new cities, hiking or biking the great outdoors, and attending cultural events throughout Austin.